Searching the public records on the U.S. Patent & Trademark Office (USPTO) website for intellectual property collateral as part of an overall UCC due diligence strategy is becoming common practice. Lenders often accept intellectual property (IP) as loan collateral, and thus insist on the proper perfection of their security interest in IP on the public record. This may be through a UCC filing and/or filings at the USPTO. Due to the value and increasing importance of trademarks and patents in secured transactions, uncovering security interests in them and understanding the priority position of lenders in this particular type of general intangible collateral is critical. Searching and retrieving trademark and patent information on the USPTO website can be quite complex and time consuming. To do it right, you will need to understand Boolean search logic, be familiar with the USPTO’s changing data entry protocols and have the patience to review a long list of search results to determine which are relevant. Many searchers simply do not have the time or expertise to complete an accurate and thorough search. The USPTO website is separated into trademark and patent “silos.” From there, each database is further broken down into additional areas each containing multiple search fields. When beginning a search of the site, many factors need to be considered in devising a search strategy. Punctuation matters in some, but not all, databases. For example, in the Trademark Electronic Search System (TESS) a basic word mark search will yield zero results when searching on “Fame Jeans, Inc.” If you search “Fame Jeans Inc” without the comma and period, however, 31 possible results are returned. To further this example, a search on “Fame Jeans” without the corporate indicator and punctuation returns 32 possible results. So, three very similar searches can produce dramatically different results. These three searches are not enough to uncover all the results that should be considered for this entity. The number of searches necessary can rapidly increase in conjunction with possessing a thorough knowledge of the USPTO search criteria from one database to another. Not all the databases are sensitive to punctuation in this way, so a searcher must understand how the database and fields operate in order to conduct a thorough search. Are Names Misspelled in the Trademark and Patent Databases? Yes. When data is manually keyed into a system over an extended period of time, keying errors are inevitable. Searchers need to be aware of this, and consider conducting searches on some of the more common errors. Common misspellings encountered include the reversal in the letters “i” and “e.” This error will often cause a result to be hidden unless the searcher specifically searches the misspelled name. Another common error is dropping a doubled letter such as “dropped” to “droped.” British spellings such as “colour” can also result in missed hits when a searcher enters “color.” Punctuation and spacing may also wreak havoc on even the most diligent searcher, as described in the above example. How Many Fields Need To Be Searched and on Which Name? This depends on what you are looking to uncover. 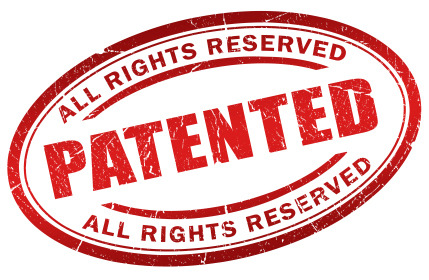 If you are looking for a specific patent and have the issued patent number, then your search can probably be limited to a single patent number search. If you are looking for any/all information associated with an entity’s intellectual property, then your inquiry will require searching multiple databases and fields. As an example, if you are interested in uncovering trademark information, you will need to search two separate trademark databases and additional associated fields. To complete the trademark portion of your search, you will likely need to search up to ten or eleven different fields separately, one at a time. In addition, multiple searches for each available search field should be entered to factor in differences in data entry protocols at the UPSTO, spelling, spacing, punctuation, name variations, corporate indicators and even errors. In the TESS database, you have the option of using search operators such as “and,” “or,” or “the exact search phrase” when conducting a Basic Word Mark Search. In the Trademark AOTW and Patent Assignment database, these types of search operators are not an available on the search drop down selection. As you can see, searching the USPTO website can be complex and time consuming. For specific searches, obtaining what you need quickly and easily can be completed without concern. But, for due diligence type searching, which often requires searching on many name variations in different databases and culling through a significant amount of results, the time and knowledge needed is substantial. Working with an experienced and knowledgeable service provider for USPTO website searches may be far more cost effective than doing it yourself while giving you the high quality results and peace of mind you need.